U.S. District Judge Richard Leon on Tuesday declined to issue a temporary restraining order barring federal agencies from forcing employees to work without pay, citing such a ruling’s potential for “chaos,” but offered a swift avenue to consider a preliminary injunction. Last week, the National Treasury Employees Union, National Air Traffic Controllers Association, and five federal workers all filed lawsuits challenging the constitutionality of the federal government forcing some federal employees to work without pay during a lapse in appropriations. 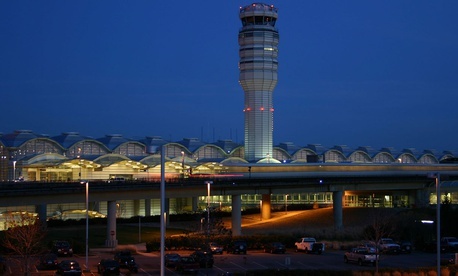 At a hearing Tuesday on the proposal to issue a temporary restraining order, the air traffic controllers union argued that the practice violated workers’ Fifth Amendment due process rights, and attorneys for the five federal workers said it violated the 13th Amendment barring slavery. NTEU argued both that a provision of the Anti-Deficiency Act infringes on Congress’ duty to appropriate funds and that recent interpretations of the law are overly broad, essentially providing a “blank check” for agencies to continue whatever services they see fit, regardless of whether they are truly related to the protection of life and property. Throughout the hearing, Leon interjected with questions regarding the logistics of issuing a restraining order against the government and suggesting a middle ground that would force agencies to waive restrictions on employees’ ability to moonlight during their off hours. “Wouldn’t this result in chaos?” Leon asked. Attorneys representing federal workers and the government both appeared to balk at Leon’s idea of nixing moonlighting rules. Before announcing that he would deny employees’ motion for a temporary restraining order, which likely would have either forced unfunded federal agencies to furlough all employees or spurred a swift resolution to the spending fight between Congress and President Trump, he said he “empathized” with those being forced to work without pay. But the judge said that issuing such an order would completely upend the status quo, not freeze it, as such actions are typically designed to do. Leon said, however, that the plaintiffs’ arguments deserve a full hearing, and ordered a swift schedule to proceed to a full hearing. The Justice Department will be required to file a brief on Jan. 22, the plaintiffs will file their response on Jan. 28, and a hearing on whether to issue a preliminary injunction in the case will be held on Jan. 31.